We’ve all been there: you’re trying to load a news article, urgent email, or video when you suddenly lose internet access, either from slow network performance or spotty Wi-Fi. A few years back, the Chrome team realized that downtime doesn’t have to be a downer. "There's nothing fun about getting kicked offline—unless you have a friendly T-Rex to keep you company, that is," explains Chrome UX engineer Edward Jung on the motivation behind Chrome’s offline Dino game. The hidden game shows itself on the new tab page when Chrome users find themselves offline—press the spacebar, and the dino turns into a runner game. 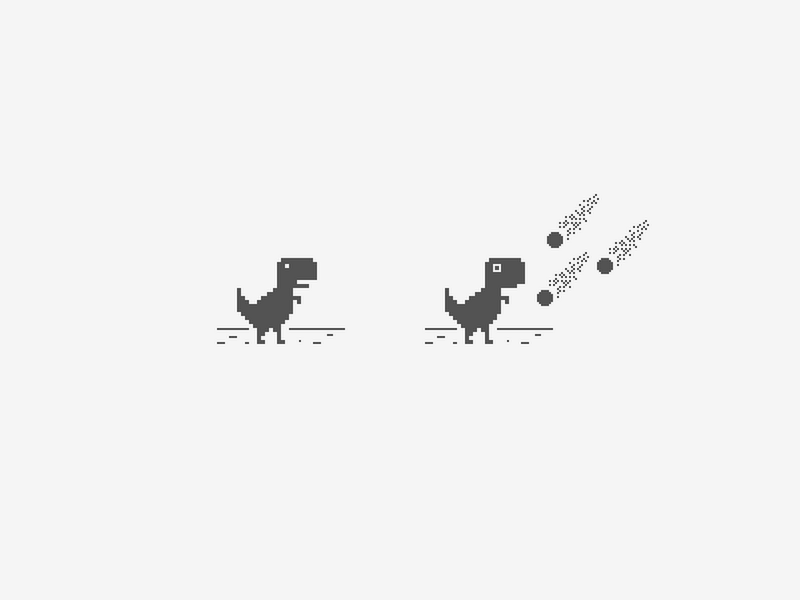 The running T-Rex made its debut on Chrome four years ago. On the occasion of Chrome’s 10th birthday this week, we sat down with its creators from the Chrome Design team—Edward, as well as Sebastien Gabriel and Alan Bettes—to learn more about the dinosaur’s journey from the Cretaceous period to the modern browser. Edward: It was the first time I'd written a game, so I had a lot to figure out—jump physics, collision detection, and cross-platform compatibility. The first iteration played terribly on older Android devices, so I ended up having to rewrite the whole thing. But by December 2014, the game had scaled to all platforms. We can imagine that the Chrome Dino got quite popular. The dino has become the Chrome team's internal mascot. 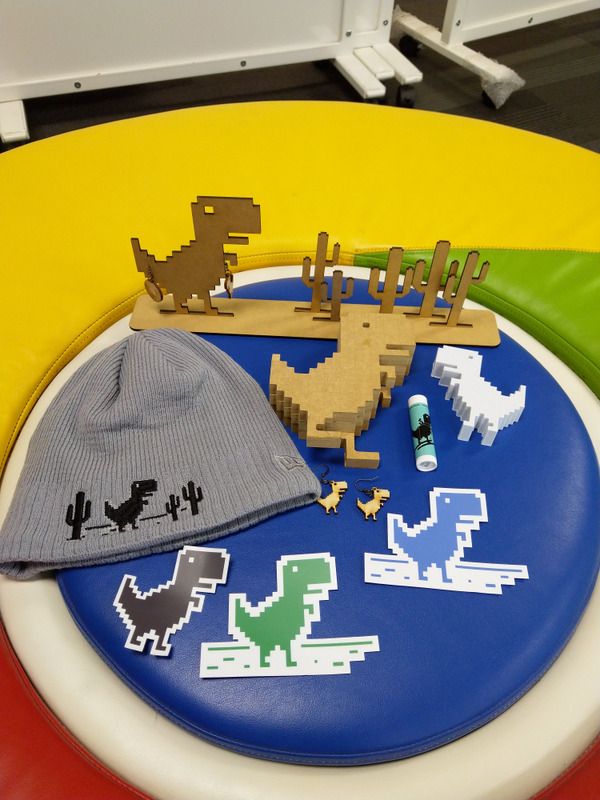 This is just a fraction of the Dino swag you might spot on Google's campus. What flavor is the cake?